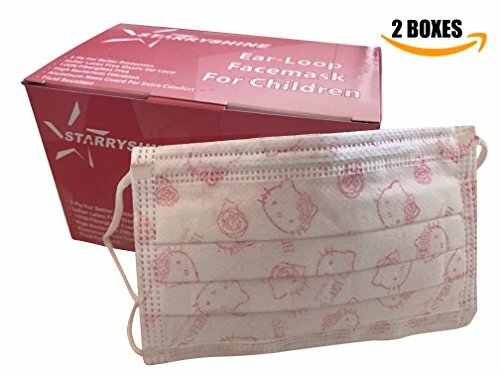 Each child's face mask features a fluid-resistant inner layer and 2 outer layers made of soft nonWoven fabric. Medical grade, with bacterial filtration efficiency (BFE) rating of over 99%. Earloops are designed to comfortably and securely stretch over children's ears. View More In Face Masks & Shields.